After 25 years working in a major international footwear company I decided to use that experience to create the dance shoe I'd always wanted under my own 'Vidadance' brand. This resulted in my mens shoes which since 2009 I've sold online all around the world. Most orders come via personal recommendation and repeat purchases from guys who love their modern style, fantastic comfort and unique sole design that pivots like a dream. 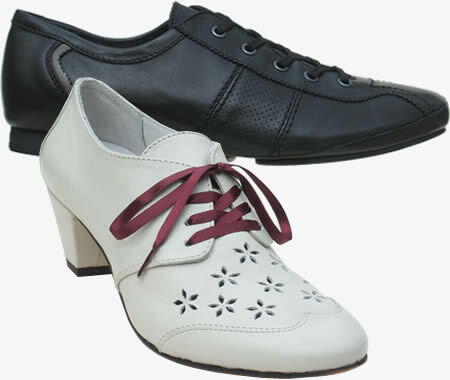 After many requests I then involved my dance partners to trial designs as I developed a shoe for ladies in soft leather with a medium heel, lots of padding underfoot, a smooth leather sole.........and great looks! Click on 'Mens' or 'Womens' to see more.